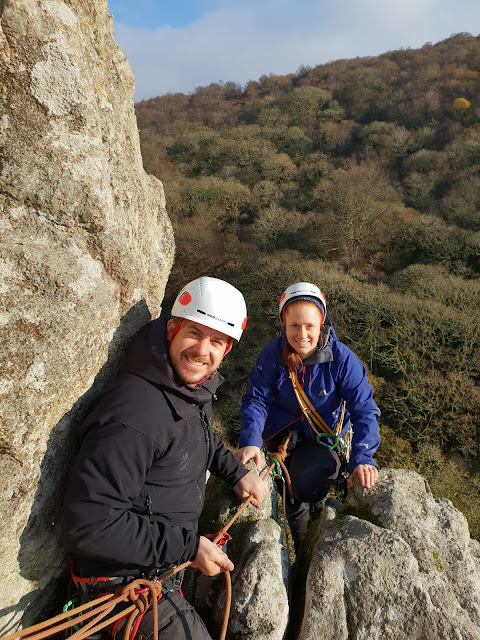 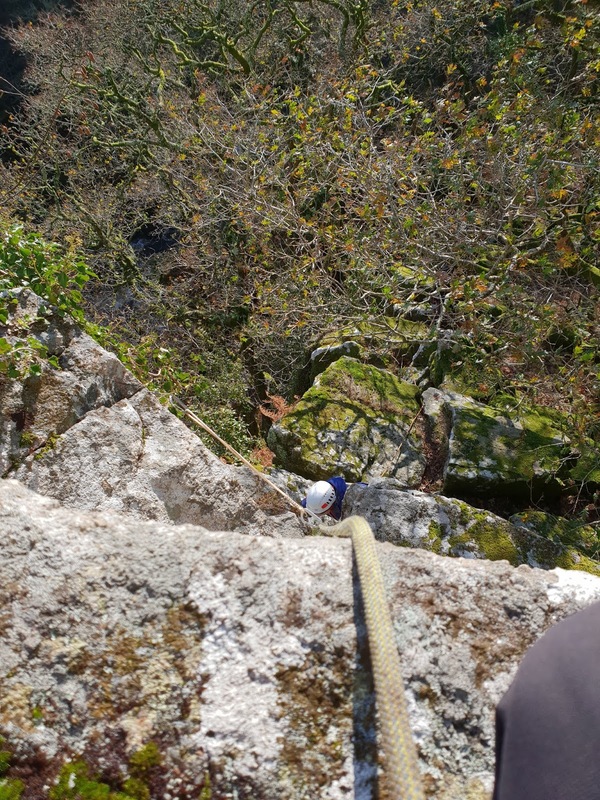 What a lovely day at The Dewerstone with Steph and Justin for their first mulit-pitch climb. 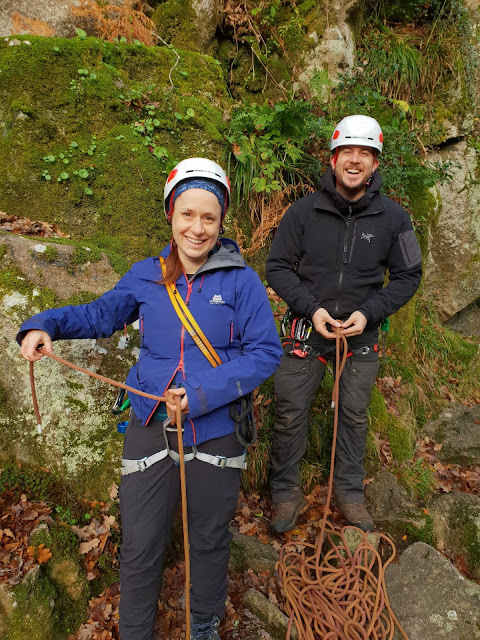 We looked at how to use a guidebook before climbing up Pinnacle Buttress with both of them building their own belays along the way. 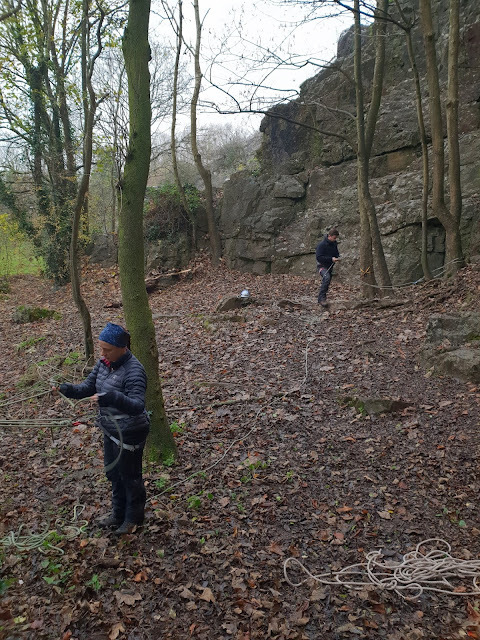 We also had time for some abseiling to get back down before reviewing some of the skills we had learnt over a coffee. Out at Goblin Combe with Steph and Justin who wanted to have an introduction to climbing and setting up ropes. 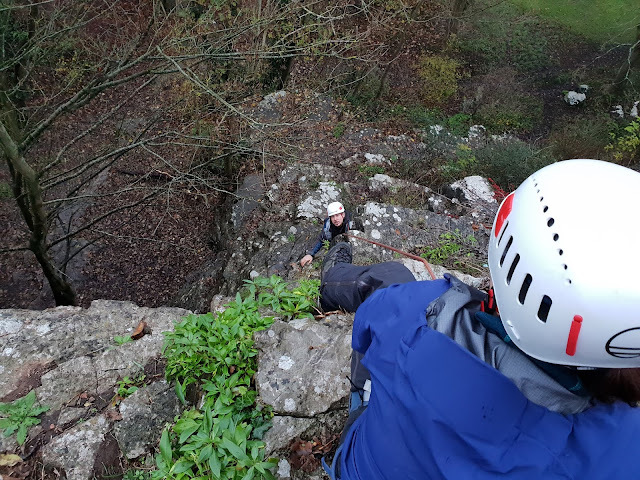 A damp day interspersed with Easyjet flights going over us but lots of ropework, belay building and getting comfortable with climbing calls covered so we can have some multi-pitch fun tomorrow. 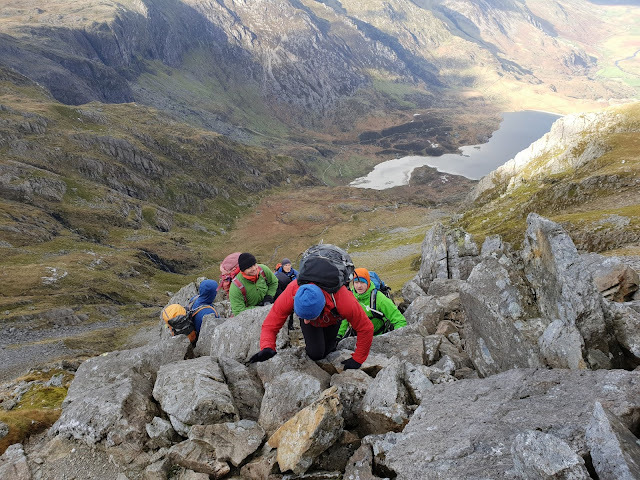 For the last 2 days I have been in North Wales getting updated ready to run the new Mountain Training Rock Skills courses in 2019. 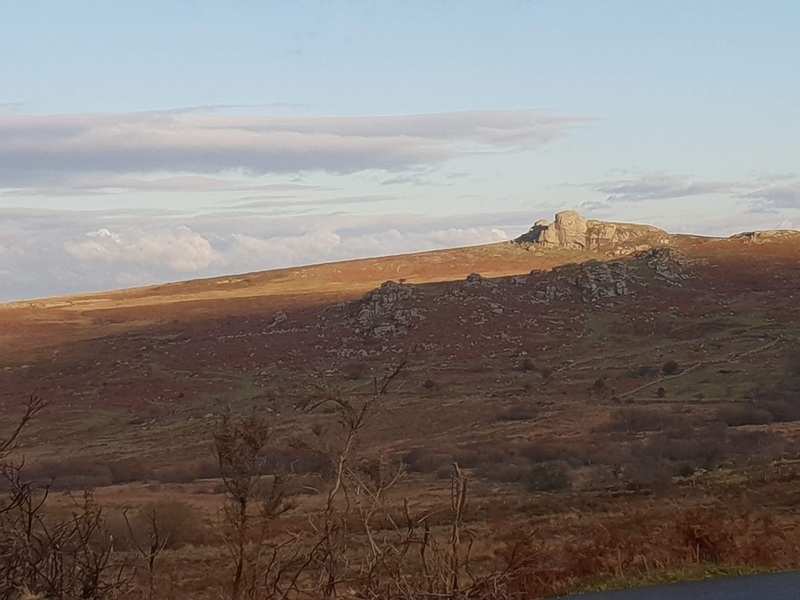 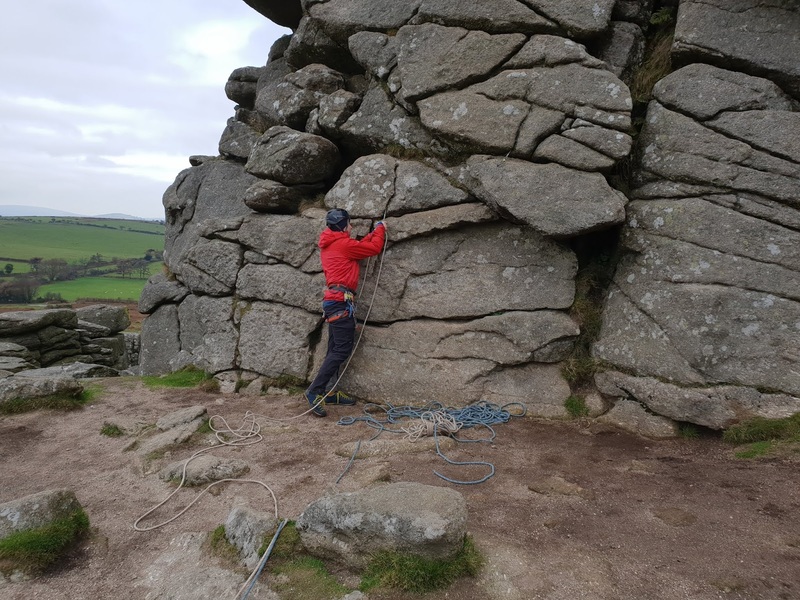 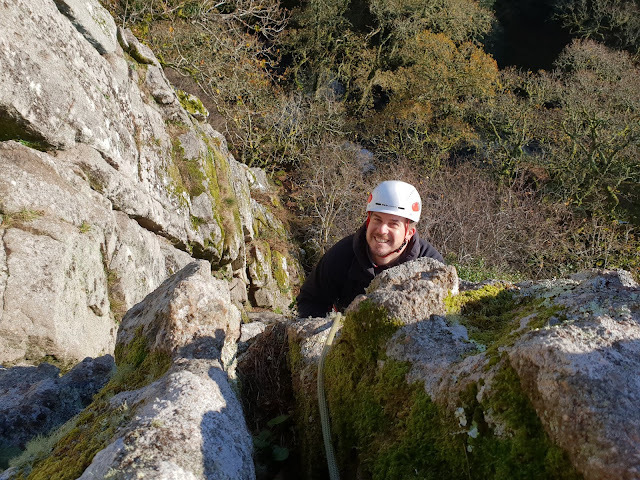 At a very chilly Hound Tor today running a Rock Climbing Instructor refresher for Wet and High Adventures Ltd. 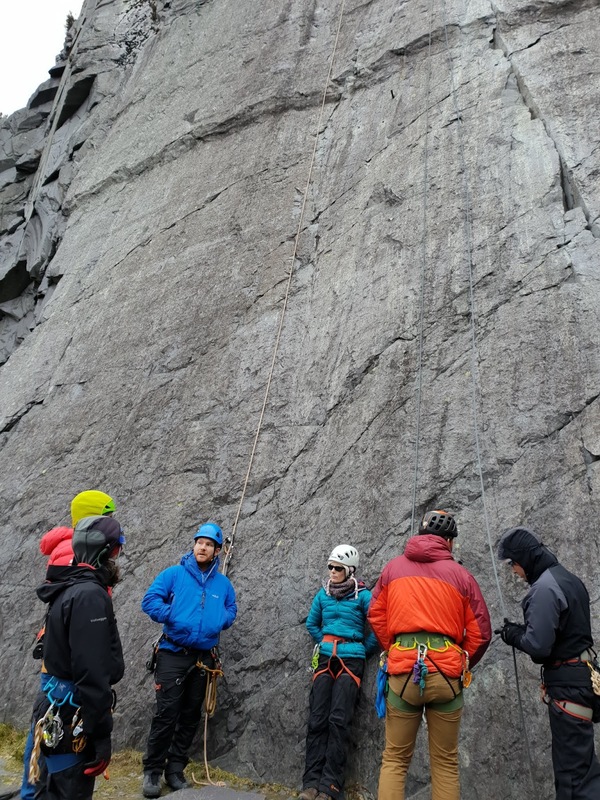 Looking at various problem avoidance and solving techniques. I took my gloves off for about 10 mins and touched the rock for a 6 metre climb, it was very cold so quickly decided that was enough of that and looked at things we could do with gloves on instead. 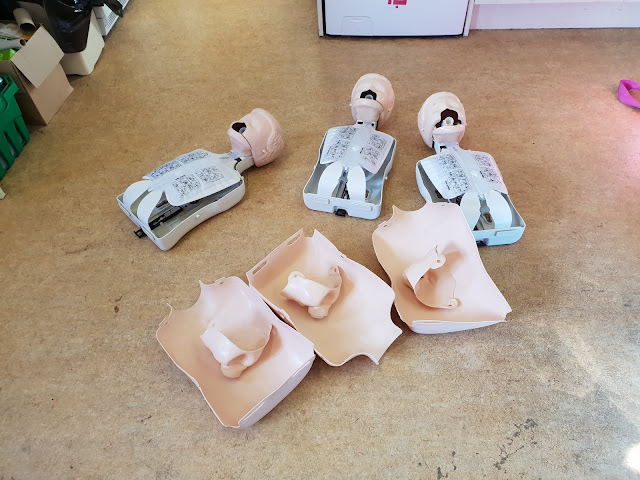 Any visitors today would have probably thought they were entering a morgue. 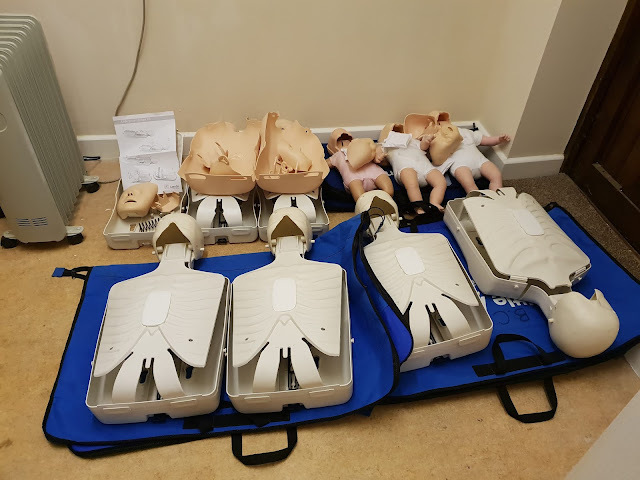 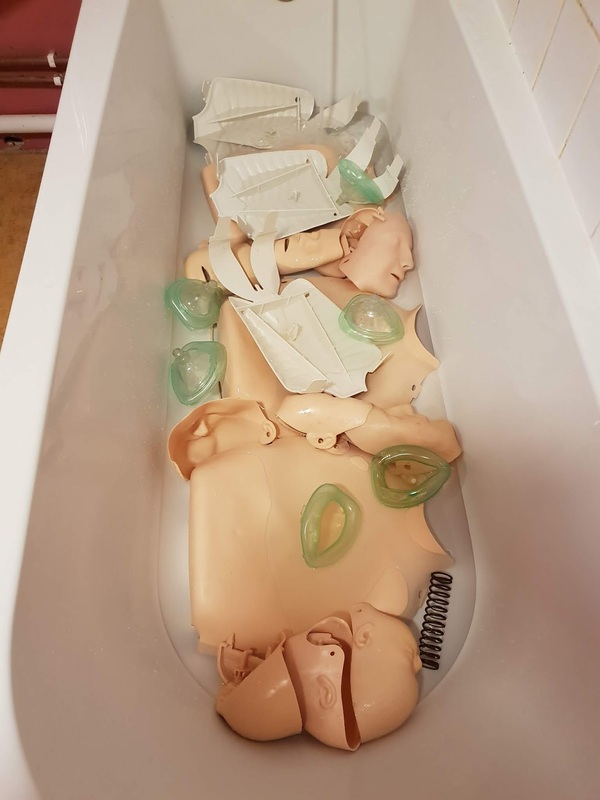 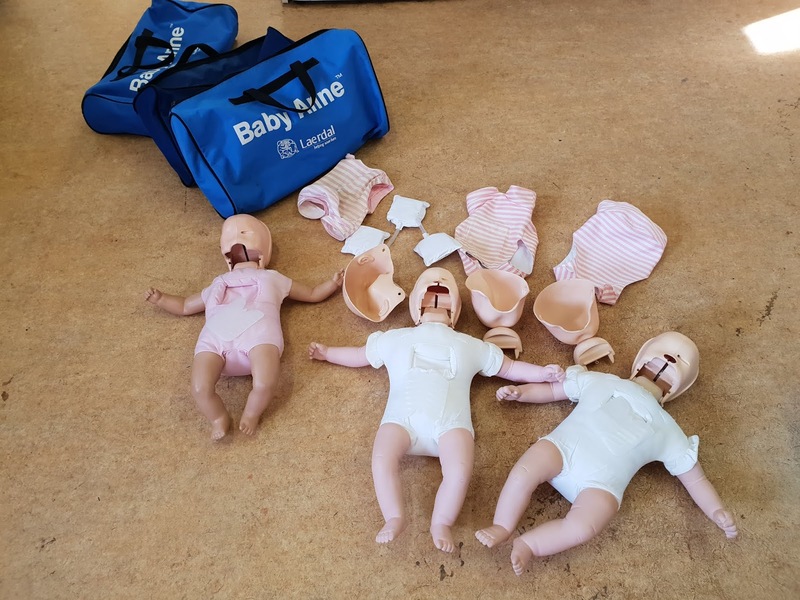 After last weeks RLSS Trainer Assessor course, it was a day of post course admin and stripping resus manikins for sterilising and replacing lungs and faces ready for our next Lifeguard course in February. 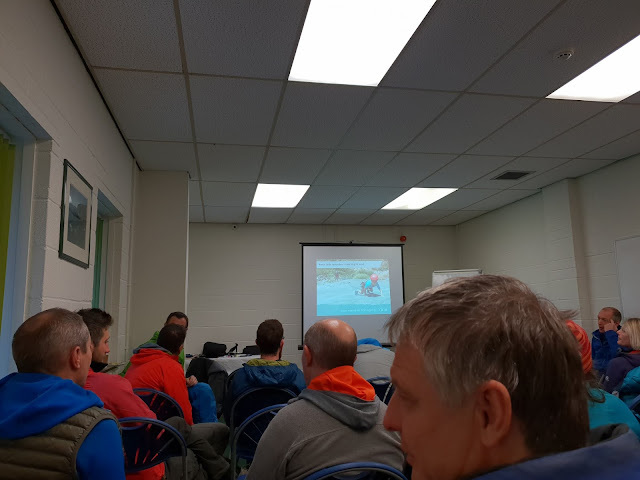 Today I was down at the Mount Batten Centre for a British Canoeing Paddlesport Instructor Tutor Orientation so that I can run these courses in 2019. 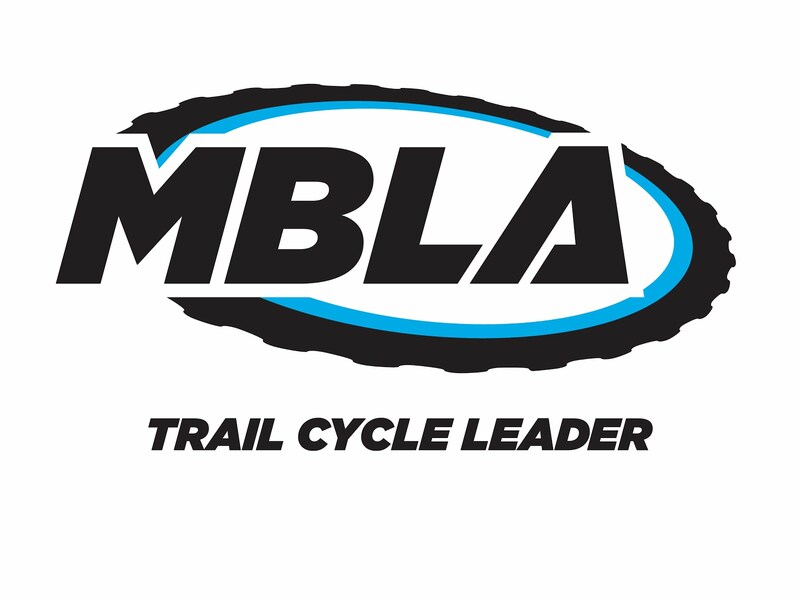 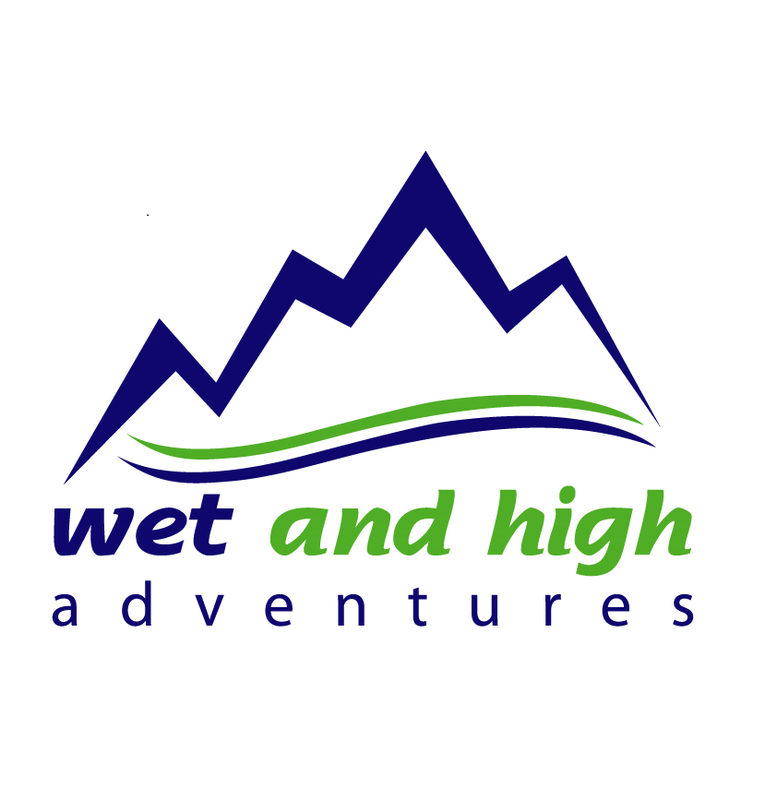 Looking forward to adding this to the range of courses that Wet and High Adventures Ltd already offers. 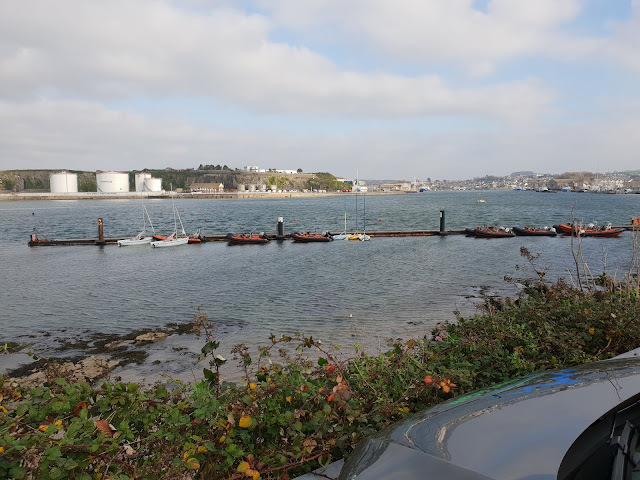 After a classroom based morning, it was on the water for the afternoon on a Stand Up Paddleboard session. 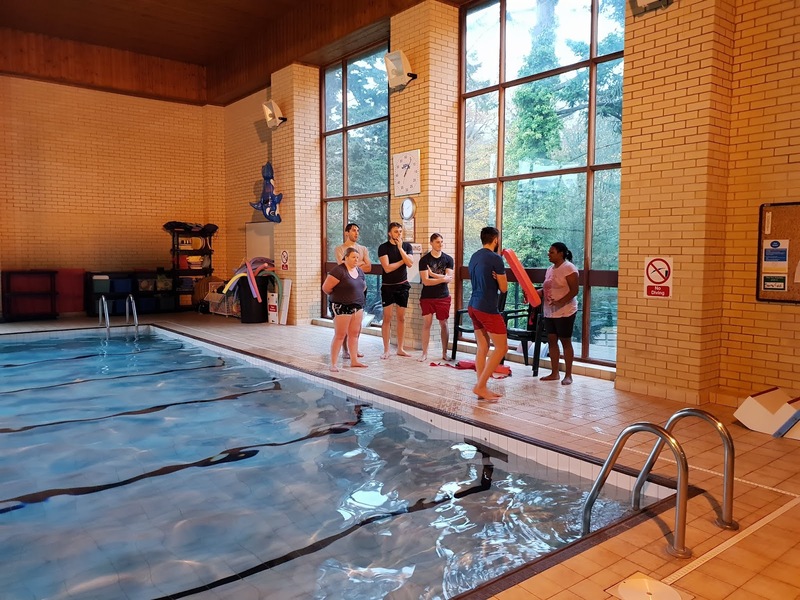 This week I have mainly been running a RLSS Pool Lifeguard Trainer Assessor course with Crys at Quantock Lodge. 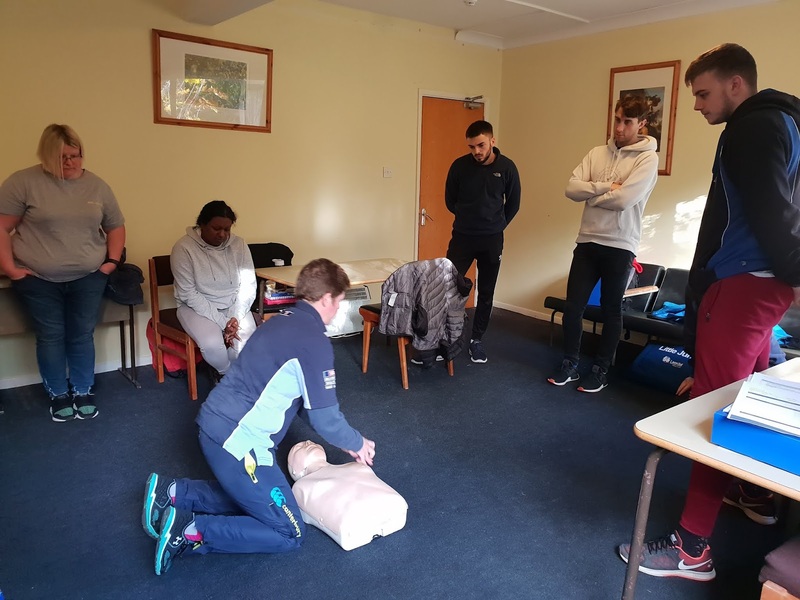 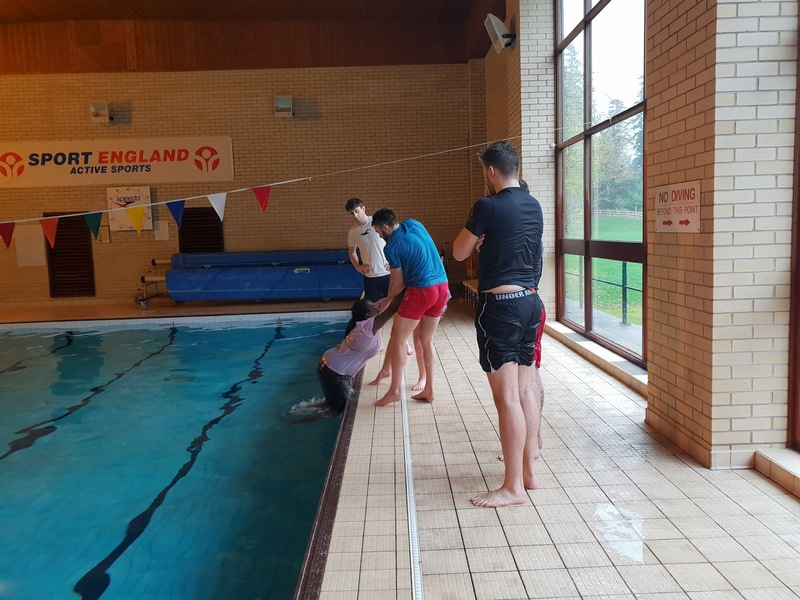 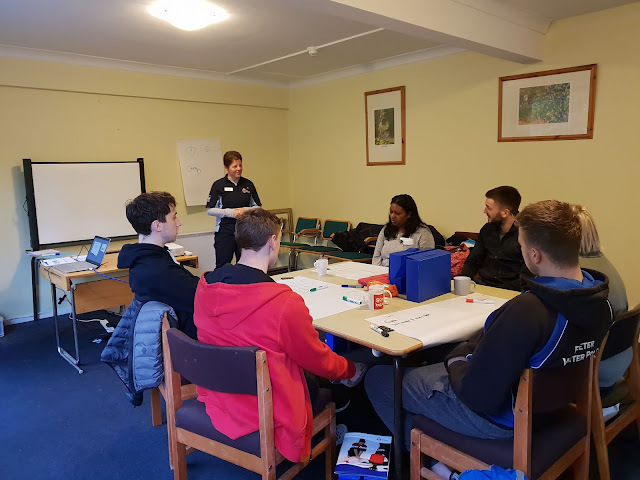 With 6 candidates keen to improve their training and assessing skills we have happily sent them off this afternoon into the real world to prepare to run their first Pool Lifeguard Course. 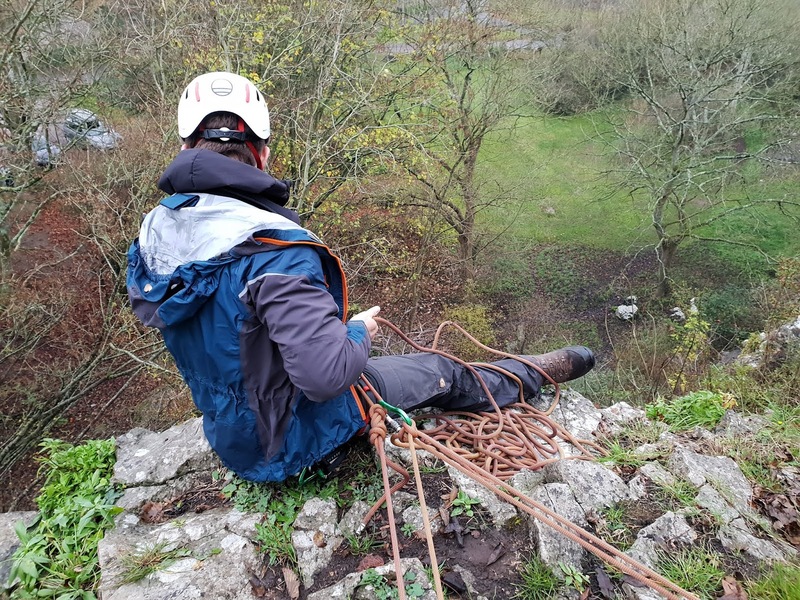 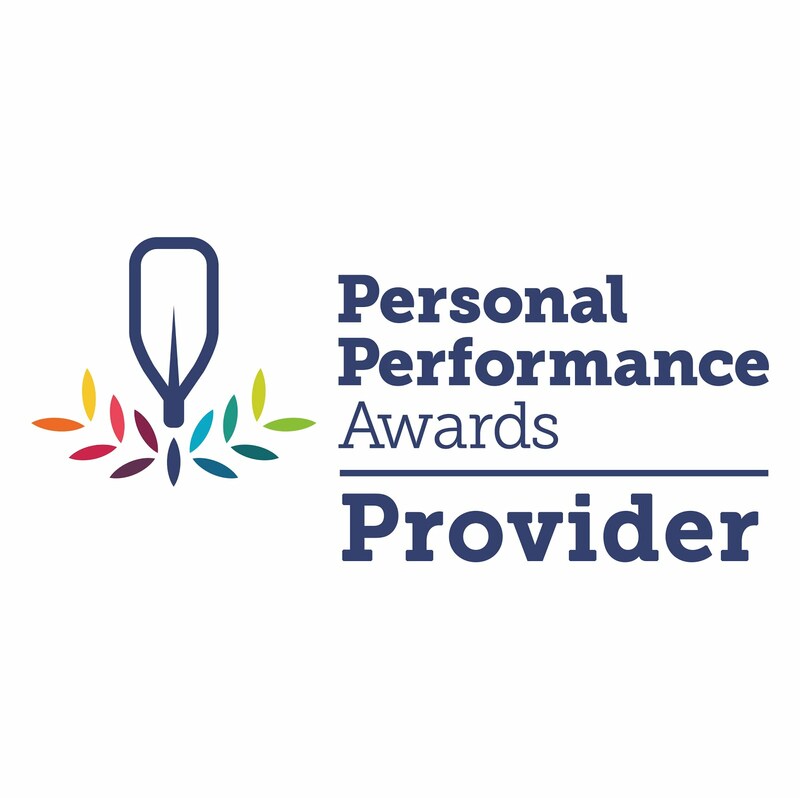 I say mainly, as on Thursday I had to go to Bristol and complete an induction so I can run the new Indoor Climbing Assistant Award coming in January 2019. On Thursday and Friday I was undertaking my First Aid renewal with Robin of Somerset First Aid Training a few miles from home. It is now safe for you to have an accident next to me. 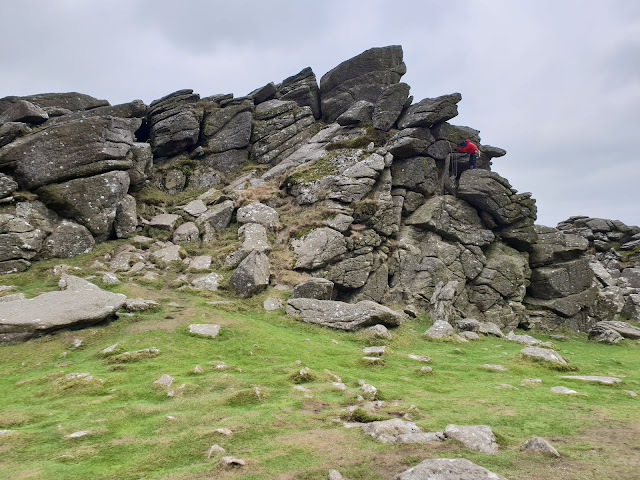 Today I was out paddling with good mate Olly on the Erme from Ivybridge to Ermington. 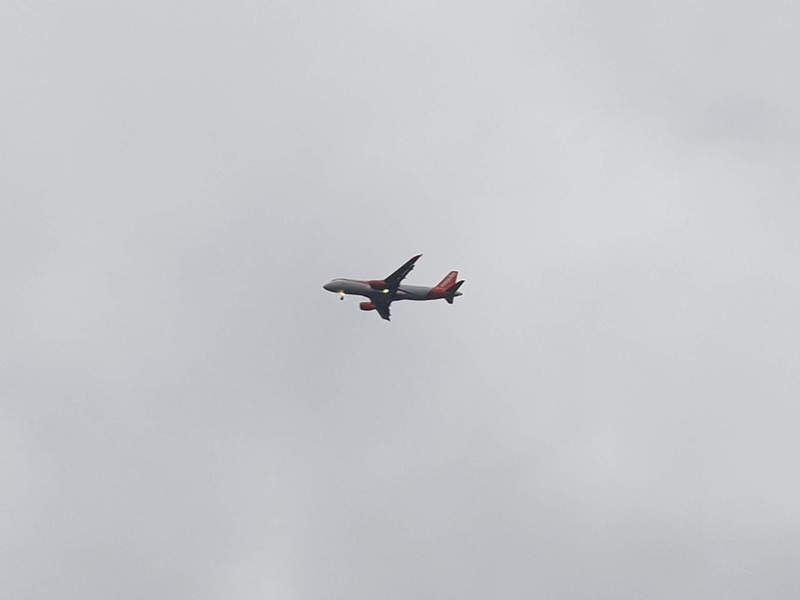 No pictures as forgot my camera today. Somehow with all that rain we still manged to catch it at is lowest level! 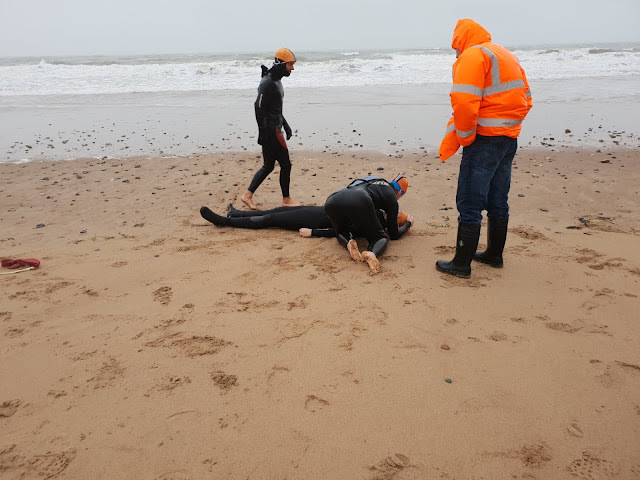 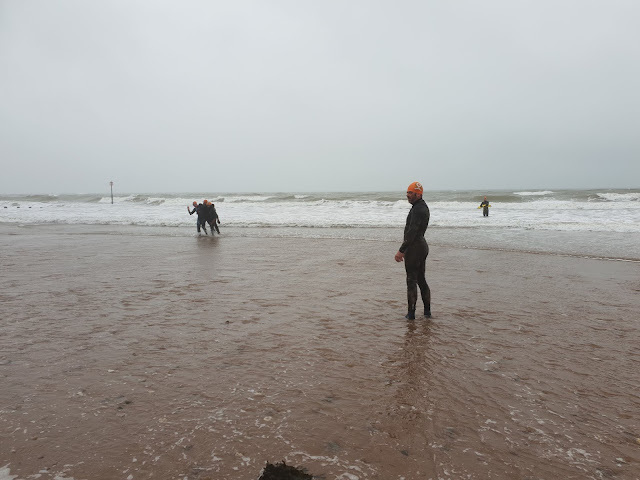 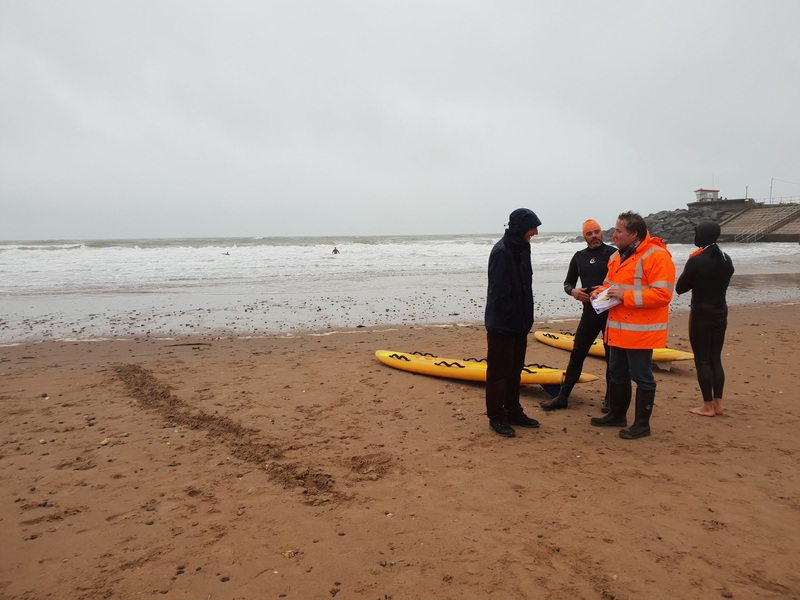 Today I was down at Dawlish Warren mentoring a new Trainer Assessor and conducting some Quality Assurance on a RLSS National Vocational Beach Lifeguard Qualification. 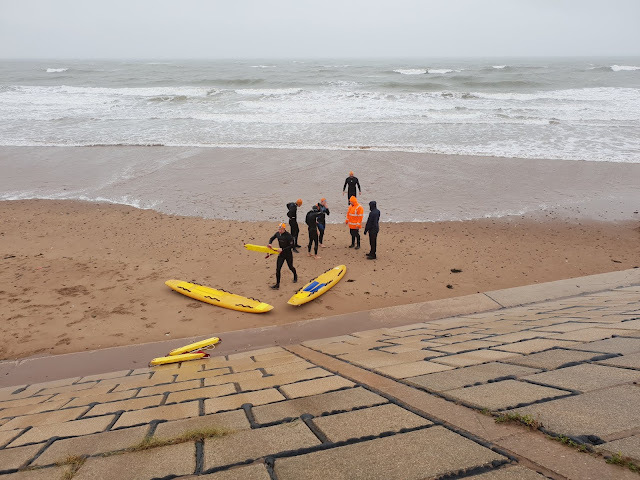 In simpler terms this would be described as getting very wet on the beach whist watching some people get battered in the sea. 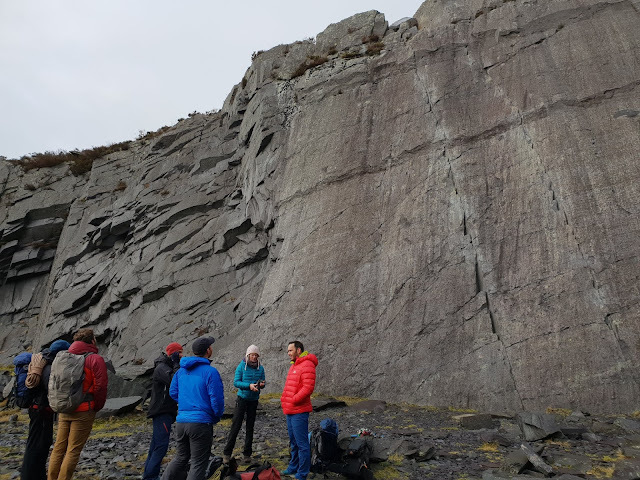 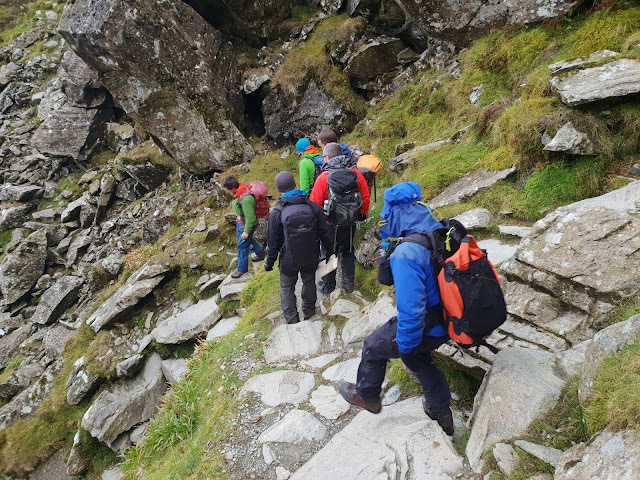 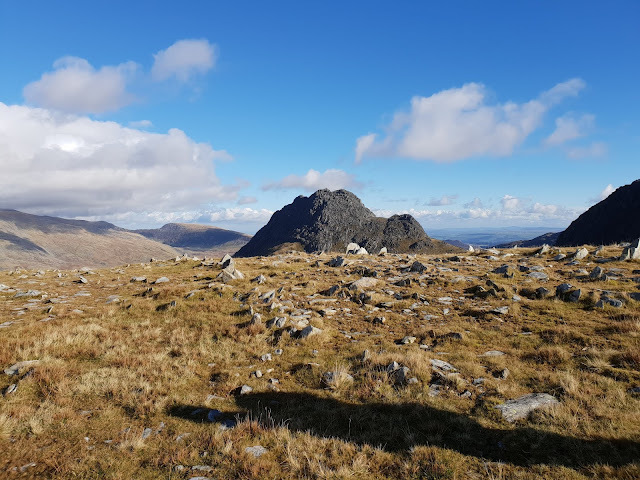 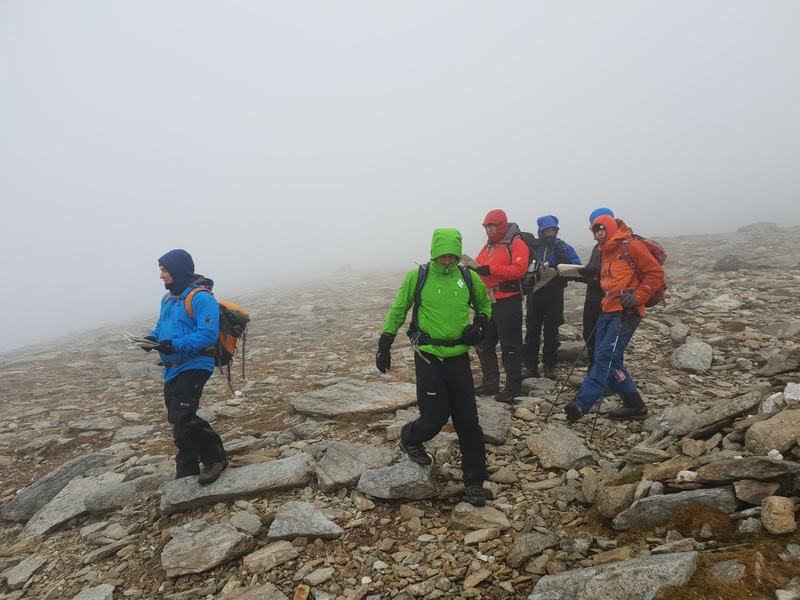 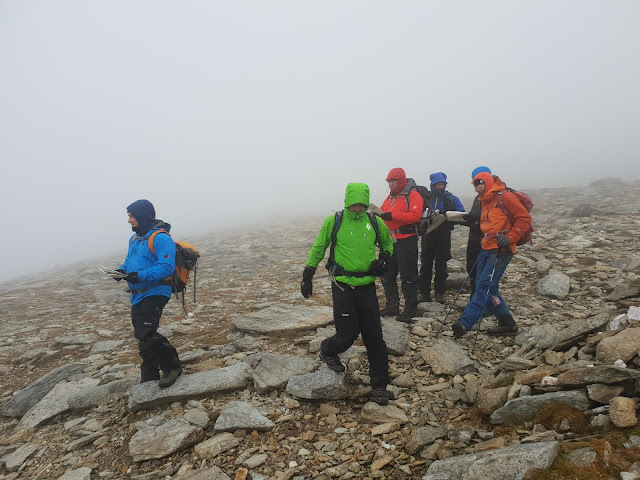 Today I was back out with the Mountain Leader Training candidates working for Wet and High Adventures Ltd. We headed upto Glyder Fawr via Y Gribin and down by the Devils Kitchen. 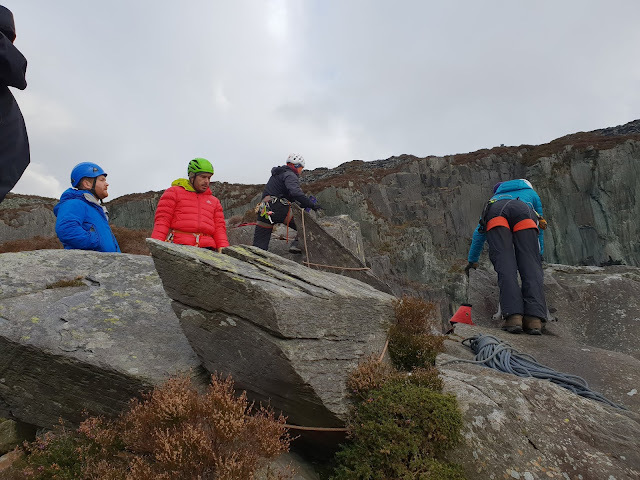 A day of navigating and managing groups on steep ground whilst leading and talking about the environment ie, being a good Mountain Leader.